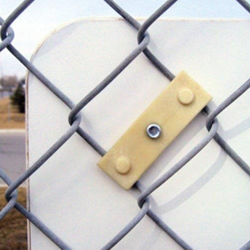 Sign Link brackets are top choice when it comes to mounting any type of street sign to a chain link fence. Threaded nylon link attaches to fence for a secure grip. Sold by the pair, 2 are typically needed to mount 1 sign.